Media has gone global. Traditional forms of entertainment are making way for a global consumership. Many years ago consumers were limited to media and entertainment available in their territory. This was often consumed in physical media format such as DVDs and restricted using region coding. While region coding could easily be bypassed the physical timescale in shipping DVDs overseas limited the exposure. As internet speeds have increased, consumers became more tech-savvy and TV shows and other entertainment gained a worldwide viewing base the interest in watching content from other countries has exploded. The spread of US TV shows such as Game of Thrones and Breaking Bad and UK series like Sherlock and Downton Abbey have fuelled this growth. Step forward ViewQwest, a Singaporean internet company that offers speeds up to an incredible 2Gbps who are about to launch an entertainment box that they hope will take Singapore and the world by storm. 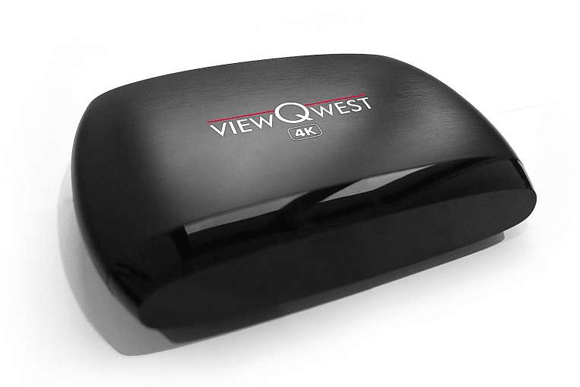 The ViewQwest TV 4K is an Android-based hardware device aimed at being a one-stop entertainment system for your TV set. As well as enabling a whole Android system on your TV allowing you to download an unlimited amount of apps from the Google Play store the device is also capable of streaming 4K video due to its Quad Core Cortex A9, 2.0GHz processing chip and dedicated Octo-Core GPU with 3D graphics acceleration. What makes the ViewQwest TV 4K an intriguing device for those that love international content is that the box will come with a built-in VPN service from ViewQwest themselves. The box which costs 249 Singaporean dollars (approximately £115) comes with 12 months access to ViewQwest’s Freedom VPN service allowing users in Singapore and around the world to access Netflix, BBC iPlayer, Hulu and a whole host of other geo-restricted services from one device with zero technical knowledge. Although the device provides access to such services it is still up to the user sign up for a subscription on services that require payment. Although the device enables access to services such as Netflix in countries that it isn’t officially available it would still be down to the user to find a way to subscribe which often requires a foreign registered payment card and possibly billing address. Not all services require a subscription though meaning users around the world will be able to access the likes of BBC iPlayer and Hulu regardless of their location all from the one box and all on their TV. As part of the purchasing price, users gain 12 months access to the Freedom VPN service which is then charged at a monthly price of S$10.70 (approximately £5) after the initial 12 months lapses. Although the box can physically play 4K there is very little in the way of content currently available at such high resolutions. Netflix do allow streaming in 4K, but it requires access to the Android v5 version of their app and currently the box only supports Android 4.4.1. So while 4K is possible it seems more of a future proof option as the current use will be extremely limited until an updated version of Android is made available for the device. As more users take up VPN services to access content the requirement for these standalone boxes will continue to grow and with competition from the likes of Keezel and the Shellfire Box the ViewQwest TV 4K is pitting its position as a niche product aimed solely at content streaming. With 4K and a VPN service built in it makes them stand out from other standalone devices. While the ViewQwest TV 4K will be welcome news for users in Singapore and worldwide the entertainment industry may be less than impressed. Although the device from ViewQwest does not actually provide content it does enable a way of circumventing geo-restrictions and when previous services have been marketed in such ways the entertainment industry have been quick to challenge them. Only recently New Zealand based Call Plus were forced to remove a service known as Global Mode due to pressure from the entertainment industry. It was essentially a VPN service allowing Kiwis the chance to access geo-restricted content from around the world. While geo-restriction circumvention is a grey area in many countries it appears the entertainment industry are happy to leave VPN services alone when their product is not directly marketed for accessing entertainment. How ViewQwest will fair and how Singaporean law interpret such matters is left to be seen. Users in Singapore can pick up the ViewQwest TV 4K from the Comex show or along with international users from the ViewQwest website from Thursday, 3rd September.